panels, its high waist and hip yoke enhance the feminine curves. 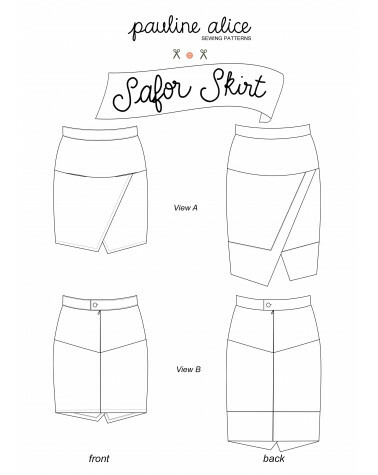 View A: short skirt with pockets. View B: knee-length skirt with contrasting panels. Share your projects here. See the photo gallery here.